How Meds Work! is the newest patient education series from Communication Science Inc., makers of Care Kits. 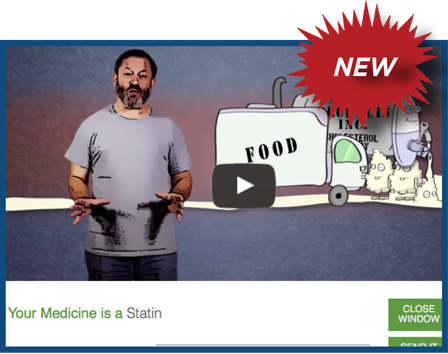 It?s an easy-to-use tool that educates diabetes and cardiac patients how specific drugs work. Why? Our study of over 330 patients revealed that a significant hurdle to medication compliance is a basic understanding of their medicine. Patients simply stop taking their meds because they do not understand what they do? or how they work. Providers use How Meds Work! to supplement patient education. Watch patients stick to their meds. How Meds Work!™ is a self-contained patient application. It’s easy to access via any computer, tablet or smart phone without any IT or technology integration. Place on your patient portal, email a link to your patients or review with them using your in-room technology. 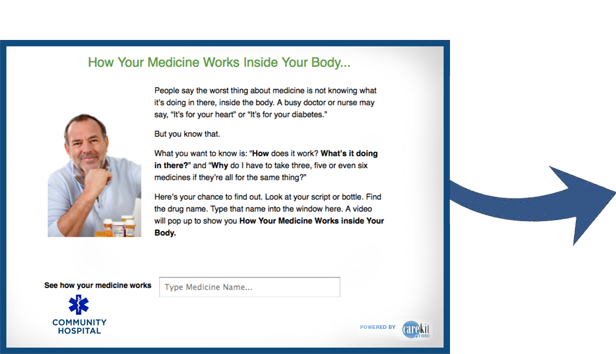 Patients simply type the name of any of their meds and the corresponding video is displayed. 166+ of the most common diabetes and cardiac drugs are mapped to 13 videos. The animated videos are 1-3 minutes each. They are easy to watch and comprehend. Patients love it and respond! Compliance will roar.